Good vision keeps the diver happy. This is my mask with bifocal lenses. It allows me to see the screen on my camera clearly so I know what I am taking pictures of. Regardless your budget, never compromise when it comes to the mask. 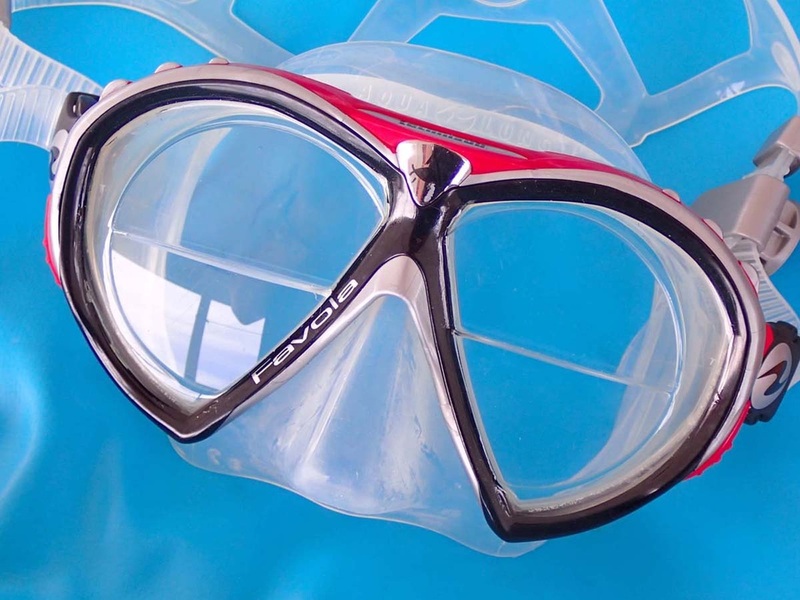 The mask is one of the most important equipment for snorkeling as well as for diving. Use a wrong mask, and it will ruin your day, because it can be uncomfortable or even fail to keep the water out. You should buy your own mask, but only when you are 100 % sure that it fits you perfectly. Here is how you test a mask: Hold the mask to your face (without attaching the strap) and inhale gently through the nose. The mask shall stick to your face when your remove your hands. There should be no air leak. A good mask is made of silicone and costs from USD 50 and up. A mask can have a single lens or double lenses. Double lens masks have the benefit that they can be delivered with correction lenses. So if you are using glasses, you should go for double lens. It is also possible to install bifocal lenses. In Bangkok is there one shop offering bifocal lenses, and that is Surawong Optical in Surawong Road in Silom district. Before you use your new mask is it important to remove any residue that is left over during the manufacturing process. The best method is to rub toothpaste over the lens for a few minutes and then clean it with water. You may experience two problems when using a mask: It may fog. It may leak. Fog is formed when the air inside the mask is moist and warmer than the water. 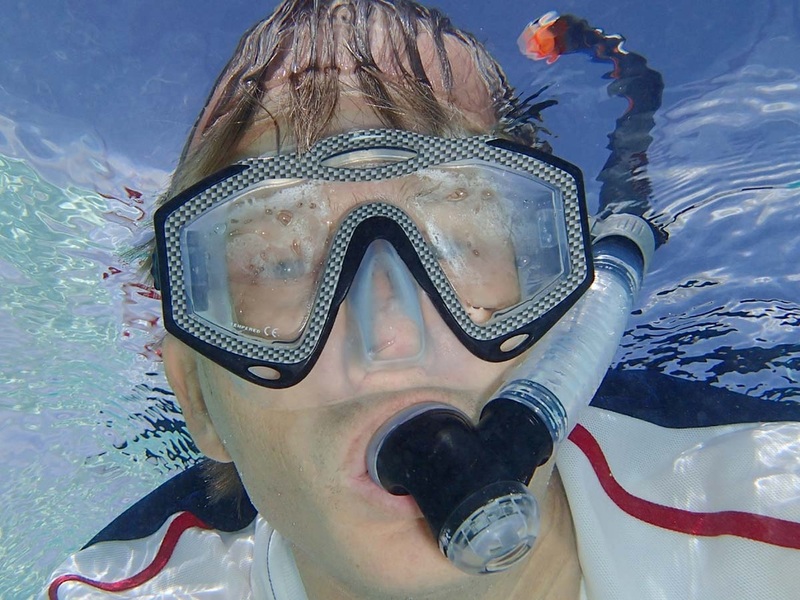 To prevent fog do many divers prefer to use liquid soap or anti-fog agent on the lens. But the best solution is for free: Just before you jump into the water, spit on the inside of the mask and rub around with your finger. Then dip the mask one time in the water and put it on. Experienced divers spit in the mask just before they jump in the water and put it on after surfacing. 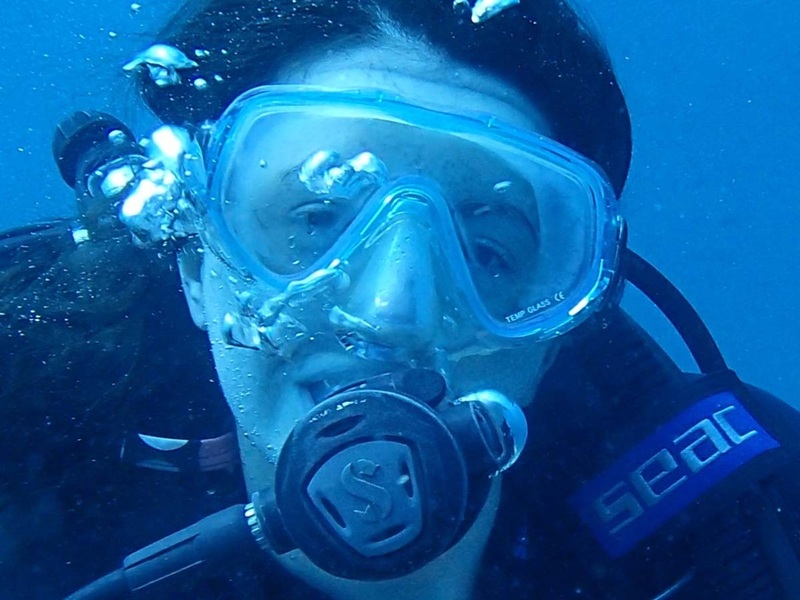 If the mask fogs during snorkeling or during a dive, just let some water come into the mask and hold your head down so the water can splash over the lens. Then blow the mask dry, a skill every diver learns at the diving school. Leaks may be caused by hair in the seal or by the fact that the mask is not centered on your face. It appears that the mask seals better when the face is wet. When you put on the mask, position it on the face and then stretch the strap over your head. Make sure that there’s no hair inside the mask. A final, and very effective, trick is to push the lens towards your face when you are about to start your descent.